Dana Pe’er, PhD, Associate Professor of Biological Sciences and Computer Science, Department of Systems Biology, Columbia University, “A Single Cell Approach to Network Rewiring,” at 11:00 am on Thursday, February 25, 2016, in Rooms 407A/B BAUM, 5607 Baum Blvd., The Offices at Baum. Abstract: Cellular circuits sense their environment, process signals and make decisions through networks of interacting proteins.. High-dimensional single-cell technologies, such as mass cytometry and single cell RNA-seq, offer an unparalleled opportunity to characterize regulatory relations between genes and proteins. By considering each individual cell as an observation of co-occurring gene/protein states and quantifying these relationships, we gain an understanding of the underlying circuits. We will discuss a few methods to infer relations in practice. We begin with Density Reweighted Mutual Information (Krishnaswamy et. al. Science 2014) focusing on pairwise relations and how these differ between different T-cell subsets. We extend these ideas to additional dimensions and by adding a temporal dimension we can observe how regulatory relations change during the course of state transition, focusing on the Epithelial to Mesenchymal transition (EMT) in a breast cancer cell line. In our case the dynamics of transition is inferred from a single heterogeneous snapshot containing cells from the full spectrum of states. Finally, we extend our ideas to single-cell RNA-seq. In this technology, the transcriptome is sampled, rather than accurately measured, with only a small fraction of transcripts observed per cell. To solve this problem, we have developed a diffusion-map based method we call MAGIC (Markov affinity-based graph imputation of cells) that models a diffusion process for cells to learn values of undersampled genes from their high dimensional neighbors. Together, we these methods come together harness the power of single cells towards a better understanding of molecular circuits. Biography: Dana Pe’er is an associate professor in the Departments of Biological Sciences and Computer Science. Her lab endeavors to understand the organization, function, and evolution of molecular networks, particularly how variation in DNA sequence alters regulatory networks and leads to the vivid phenotypic diversity of life. Her team develops computational methods that integrate diverse high-throughput data to provide a holistic, systems-level view of molecular networks. She is particularly interested in exploring how systems biology can be used to personalize care for people with cancer. By developing models that can predict how individual tumors will respond to certain drugs and drug combinations, her goal is to develop ways to determine the best drug regime for each patient. Her interest is not only in understanding which molecular components go wrong in cancer cells, but also in using this information to improve cancer therapeutics. Dr. Pe’er is the recipient of the 2014 Overton Prize, and has been recognized with the Burroughs Wellcome Fund Career Award, an NIH Directors New Innovator Award, an NSF CAREER Award, and a Stand Up To Cancer Innovative Research Grant. She was also named a Packard Fellow in Science and Engineering. 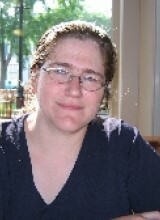 Dr. Pe’er received her bachelor’s degree in mathematics in 1995, her master’s degree in 1999 and her PhD in computer science in 2003, all from the Hebrew University of Jerusalem. Her PhD work used machine learning and Bayesian networks to automatically infer regulatory relations between genes, using genomics data. She was subsequently a postdoctoral research fellow in the lab of George M. Church in the Department of Genetics at Harvard Medical School, focusing on how genetic variation changes the regulatory network between individuals and how this subsequently manifests in phenotypic diversity. If you need to join the CCD Colloquium remotely, please follow the instructions below. If you do not have Microsoft Lync installed on your computer, you can join the meeting using the Lync Web Plugin. You may click on the below link “Join Skype Meeting” to get started and can review the attached documentation on how to install the Lync Web Plugin if needed. Thank you.